ASUS Zenfone 5 Android 9.0 Pie update is now rolling out! Here's how to install the update. ASUS Zenfone 5 gets an Android 9.0 update and is now gradually rolling to users in the Philippines according to ASUS PH. Likewise, the ASUS Zenfone 5Z and Zenfone 5Q will receive an update at the end of January 2019. The ZenFone 5 series was released in the Philippines last April 2018 and it has become one of the sought-after smartphone series in the country. It has proven to be a great device in terms of camera, AI capabilities, design and battery efficiency. The ZenFone 5 series is ASUS’ most intelligent ZenFone series to date, and it’s about to get even better. 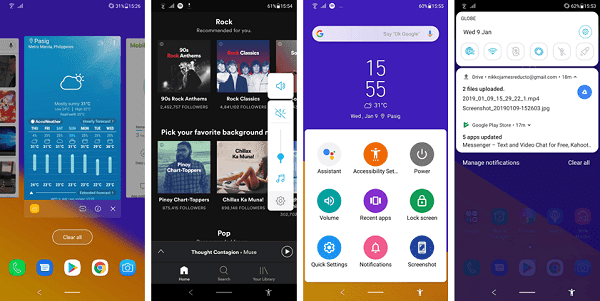 The update includes major improvements in the ZenUI user experience, as well as several new features that have been introduced by Google in Android Pie, including a contextual pop-up volume bar, a new magnifier feature for easier copy-paste, and the improved gesture-based navigation system. Users can also expect improvements in system performance, as well support for the latest OpenGL and Vulkan APIs for a better gaming experience. The new Android 9.0 Pie will be distributed automatically via a firmware-over-the-air (FOTA) update according to the schedule listed below.